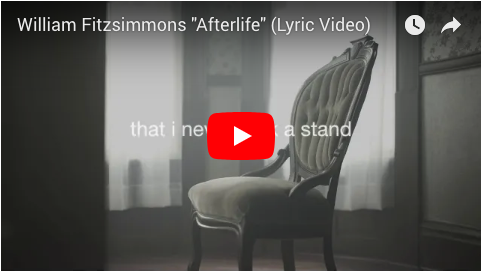 William Fitzsimmons captures the haunting emotions that come with the end of a relationship in the song “Afterlife”. Make sure to catch him at one of his shows along the 2019 Mission Bell North American & UK/EUR Tours! In the meantime, bask in the glow of the lyric video for “Afterlife” off William’s latest album “Mission Bell” HERE.